After Saturday’s win at Willington, Bishop made the short trip to play Willington’s near rivals Crook Town. The first real action came after 11 minutes when Ian Ward fired home from close range to give Bishop a 1-0 lead. The game was a contested affair and McAloon needed lengthy treatment upon 22 minutes. Ian Ward then came close to adding a second on 30 minutes when he sent a header just wide of the upright. But it was Crook to score next with a good solo goal to level the scores at 1-1 on 33 minutes. 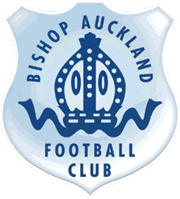 Bishop then restored their lead almost instantly when within a minute Ward chipped the Crook Town goal keeper to make it 2-1. On 38 minutes Ward turned provider when he flicked the ball on from a long throw to put the ball on a plate for Moffat to score, making it 3-1 to Bishop. The ever threatening Ward the put a shot just over the Crook Town bar on 42 minutes, shortly after McAloon fored the Crook keeper in to a smart stop. With virtually the last kick of the first half Crook reduced Bishop’s lead within 1 with a shot from the edge of the box. Early in to the second half the Crook number nine struck a shot against the Bishop post. Shortly after Ward then had a looping shot headed clear off the line. The second half was then closely contest with the pace slowing down. On 89 Crook headed a chance just over the Bishop crossbar. Then with the last kick of the game Moffat scored his second of the game and his third in a Bishop shirt to make the score 4-2 to Bishop. 7 goals scored in two games with only 2 goals against sends Bishop in to a sterner test against Middlesbrough under 23’s this coming Saturday with confidence.